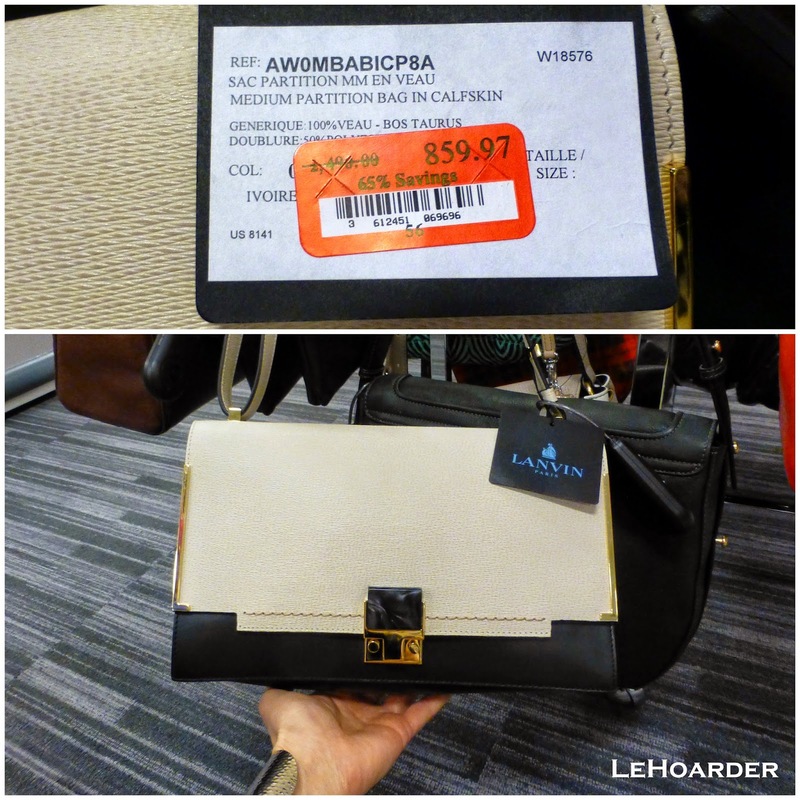 Rent the Runway sample sale haul, Livingston Rack opening & Altuzarra for Target 50% off! Case in point, this week I picked up this $388 BCBG silk Amalia dress at the Rack for just $22.97 - several times I've found BCBG dresses marked under $30 there. I love the print on print and it can easily be worn with a Halftee when I need more coverage. For some reason they usually only get the dresses in tiny sizes and since the SKU comes up assorted you can't even track it down in another size. They got only two of these dresses in size 4, and the other stores I checked didn't get this style at all :( I took it b/c I can get into it but I'm afraid I'll pop a seam if I try to sit LOL. It has a vintage flair and looks so much better on. Another 5-10 lbs and I'll be taking this baby out for a spin. Last week and a half ago I had a client fly in from out of town just to shop with me for 2 days. 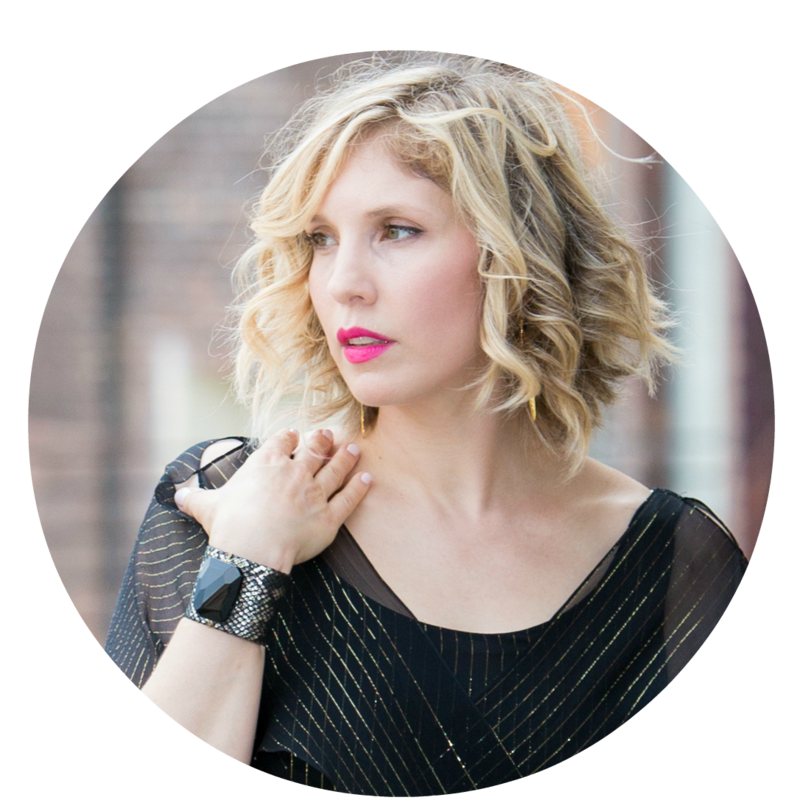 She just had a baby so we needed to revamp her wardrobe right down to her undergarments - plus she also has an upcoming family occasion and needs to look amazing. She figured it was cheaper to fly in to NYC to shop with me then to pay retail locally. After clearing out the Rack on 14th street we stopped at the Rent the Runway sample sale to see if they had anything left (it was the third day of the sale). I have to say it's probably only worth going to this sale the first or the last day. Most of the goods were overpriced and damaged. 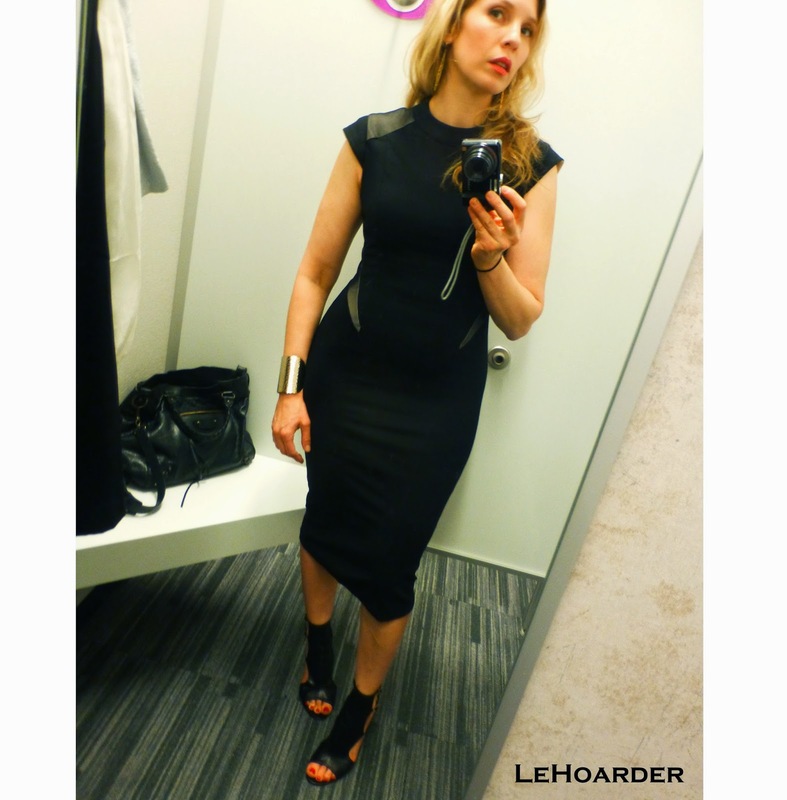 For example, Herve Leger misshapen dresses were priced around $500 (and we all know my three were $100-300 brand new). 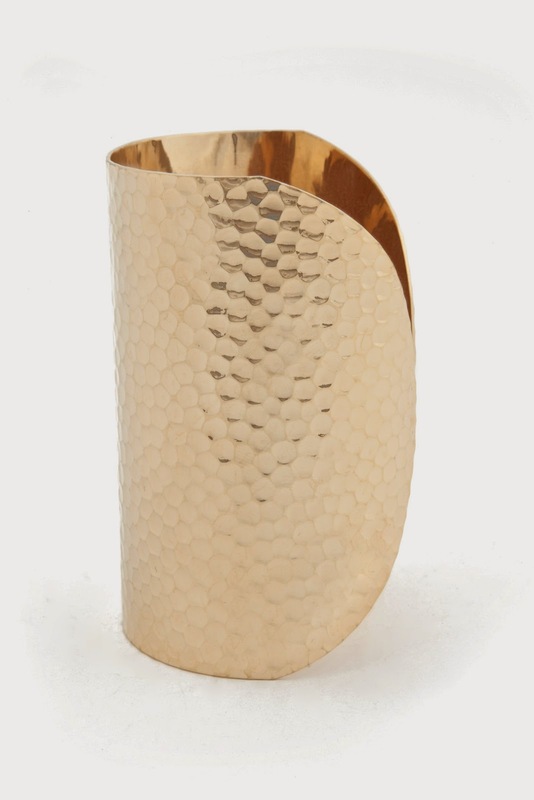 We did the best at the accessory table where I found her a beautiful $99 Rafe clutch (retail $495) and I scored a $17 gold hammered cuff that has quickly become my favorite. So pretty! 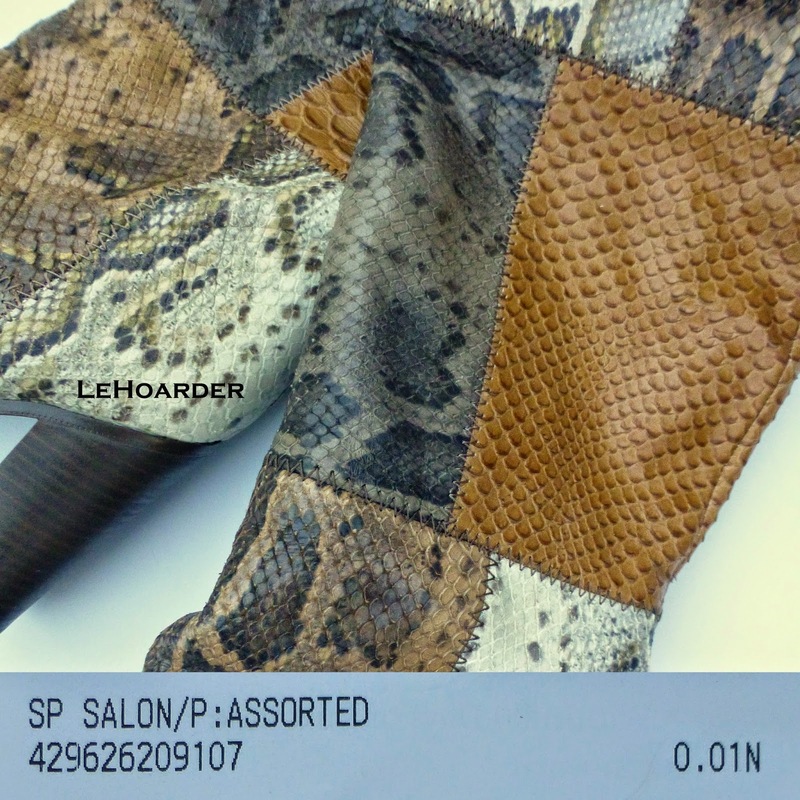 Next sale I'll be on the lookout for my own Rafe clutch. She had a mani so I had her model my cuff. 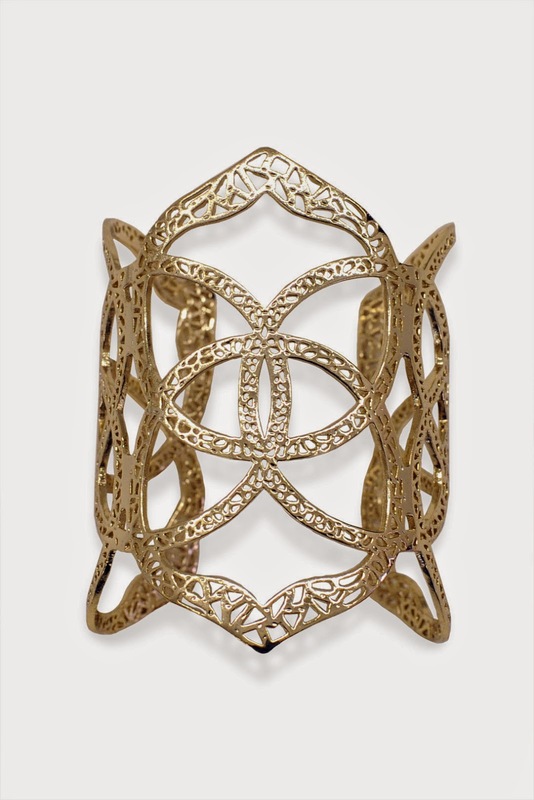 I'm keeping the House of Harlow gold textured cut out cuff on the top right for sure. It's cracked in one place and I'm going to have to solder it back together. Retail $85, I got it for $17. SOLD I purchased the AV Max gold hammered cuff but I took this one as a spare not noticing the discoloration (doesn't show easily in pics due to the way it catches the light as you can see from the above mod shot). Retail, $32, asking $15 shipped in the US. SOLD Here you can see the discoloration in the center. 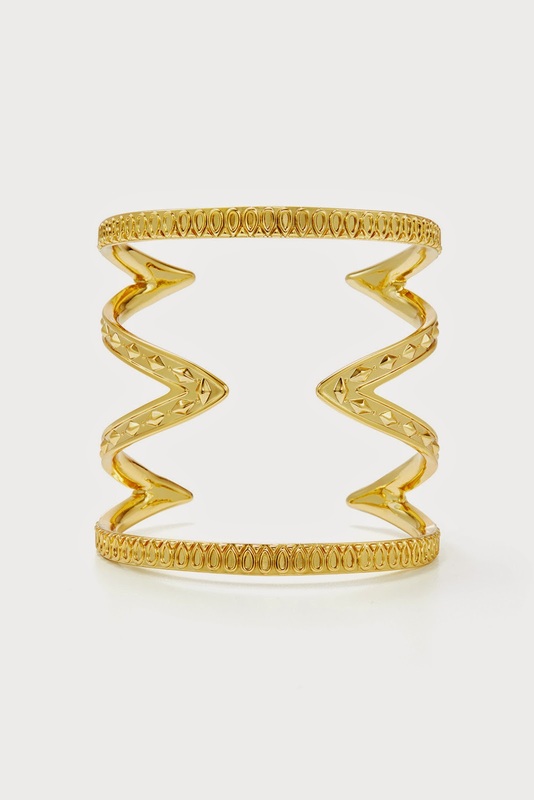 SOLD I noticed this $325 Alexis Bittar Serpentine Quartz Cuff when I was shopping with my client but it was still too expensive. When it hit 50% off I grabbed it despite the light discoloration in the back. If she doesn't want it it's available for $48 shipped in the US. 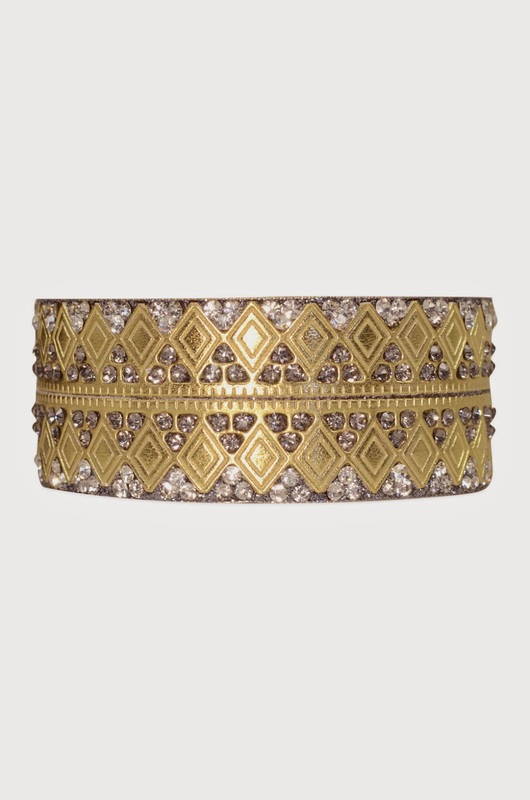 SOLD And last but not least is this $65 Chamak by Priya Kakkar Alhambra bangle that's in great shape but I have really small wrists and wide hands so I have a hard time with bangles. I love the mix if gold and silver. Asking $21 shipped in the US. 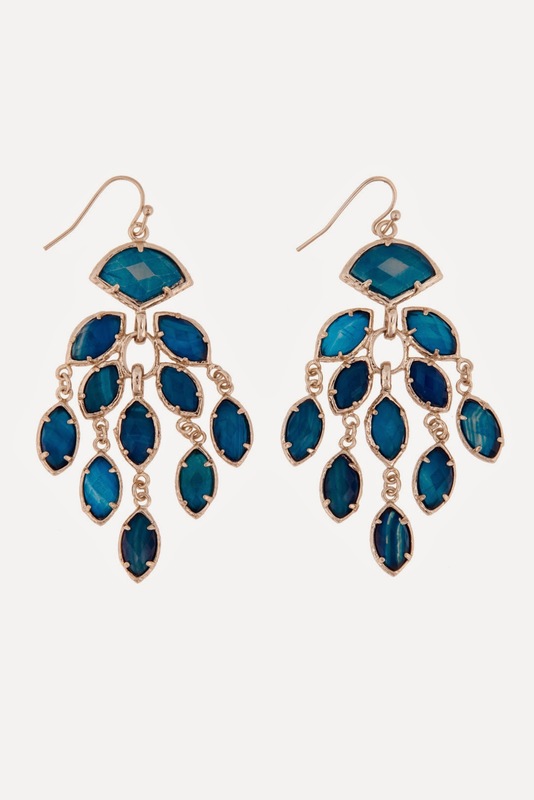 I also picked up these $100 Kendra Scott Qwen Blue Agate earrings for just $20 (not for sale). 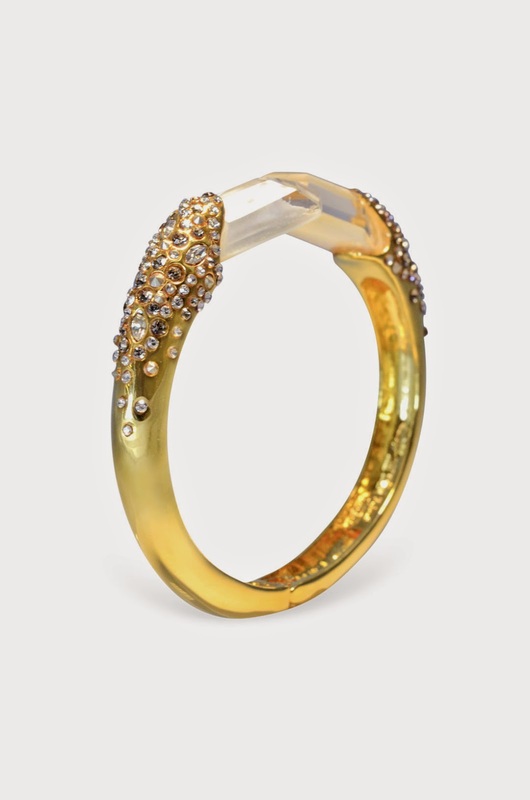 And these $185 Dannijo Ajak earrings that are missing the drops (ugh). I got them because I really wanted something Dannijo and I didn't realize that they weren't supposed to be studs. They are still cute and a great price but I don't really need them. Asking pretty much what I paid - $40 shipped. DD was not in the mood at this point LOL. 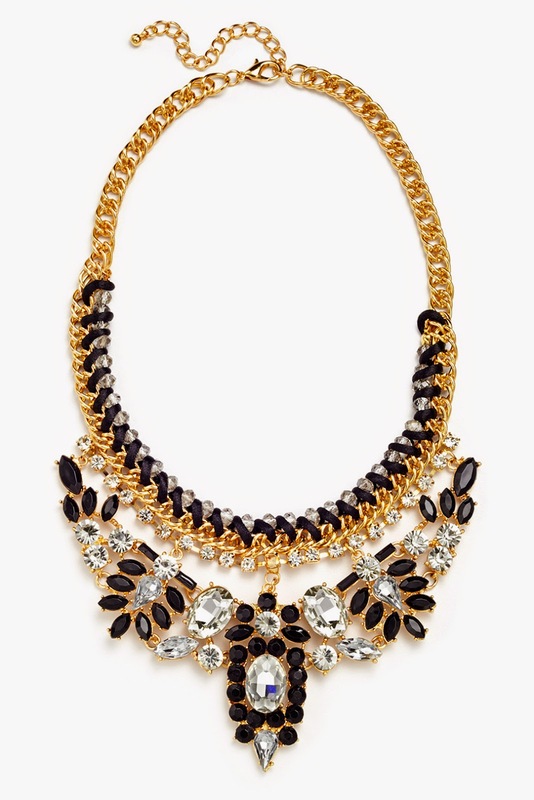 I got this $198 Slate and Willow Ladies Who Lunch necklace for just $7.50 and I LOVE it! It's a little discolored but so cute and so cheap! And I also got this $128 Slate and Willow Evening Primrose necklace but it was missing a stone (also a little discolored and not really my style) so I'm going to have it replaced before selling it. ETA just noticed that even the stock pic is missing the center stone. Weird. There was a Clear the Rack recently but it wasn't all that exciting for me. I picked up this $79 Halogen skirt for $3.75, a $50 bra for $2.23, and these $500 Coach boots for a penny. I also picked up a Haute Hippie dress for $60 and a Tracy Reese dress for $40 but I already took them back to get tailored so I'll take mod pics when I pick them up this week. 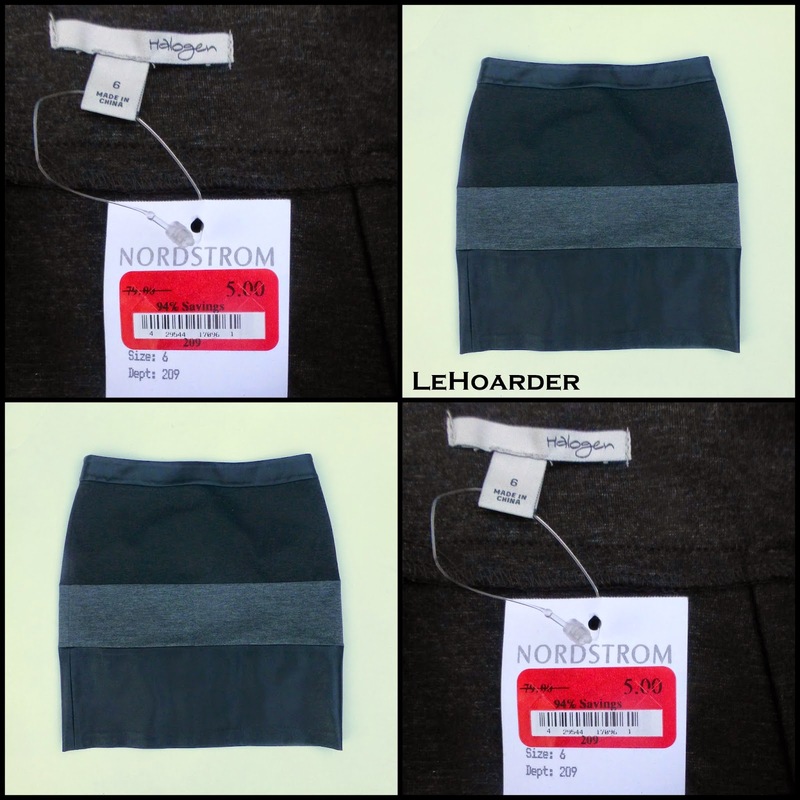 $5 before 25% off - who gets a skirt for $3.75 LOL? 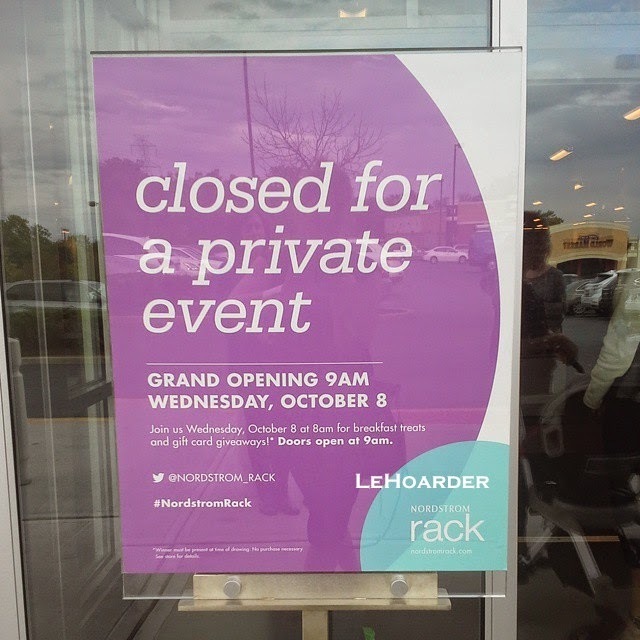 What I was really excited about was the grand opening of the Livingston, NJ Nordstrom Rack :) I've scored invites for VIP opening nights before but they always turned out to be on nights I couldn't get a sitter or it was on a Jewish holiday. FINALLY I got my golden ticket and a sitter (and the day BEFORE a holiday LOL) so off I went! I was the second person thru that door and it was not the super designer event I had hoped for. As soon as I got in I was directed to the designer bags and a manager pointed out this Lanvin bag. 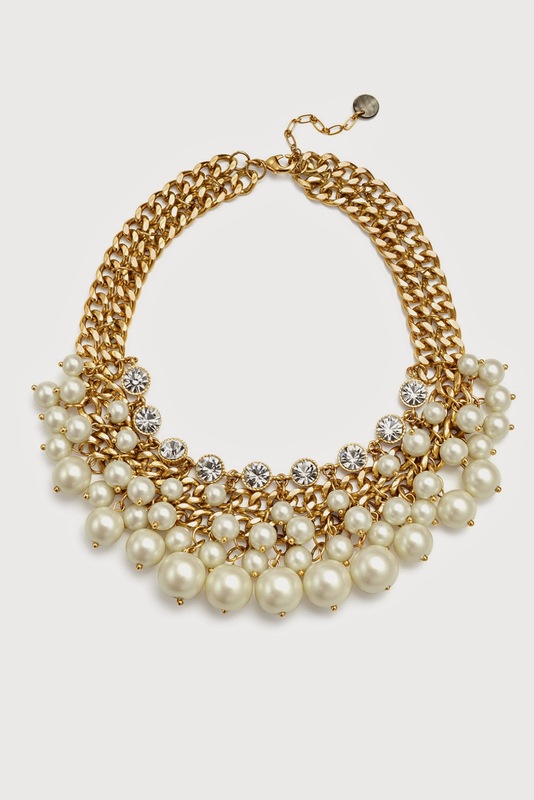 Pretty but that's Chanel pricing for me. I was also directed to the $90 Prada baroques which everyone seem to be going gaga for but I passed b/c they didn't look amazing on me and I'm pretty well stocked on my Century 21 70% sunglasses. $5 Calvin Klein dress for a client. $10.35 Vince Camuto skirt for my nieces (I'll let you guys share or duke it out for this one). $328 Classiques Entier Geneva Jacquard sheath dress with gold lame inset for just $19.90 - it was going to be for my nieces but I can just get into it. Sorry guys. 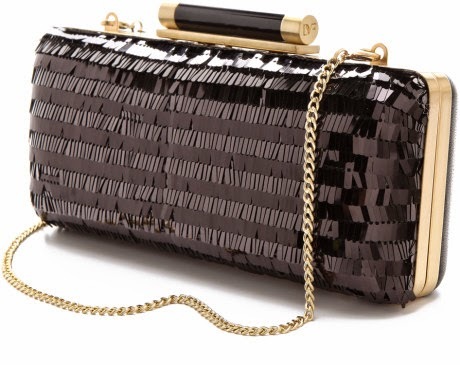 My new cute $275 Ted Baker was just $19.90 as well!